The proper mindset and self image is critical to effective business development. All too often, there's a negative mindset out there in the marketplace about sales people that undermines business development. Buyers, all too often, associate sales people with Willy Loman, that slimy loser in Death of a Salesman. What's even worse is so many salespeople have internalized that self image, see themselves in that light and therefore won't do the behaviors that are needed to be successful and that's so unnecessary because in reality, salespeople are heroes. There's no better example of heroes in myths than Star Wars. George Lucas has written how he was inspired in creating Star Wars by Joseph Campbell's Hero with a Thousand Faces. Campbell studied hero myths in hundreds of cultures over thousands of years to define the legend of the hero, the myth of the hero and he identified the critical point when somebody becomes a hero. It's not when he or she is facing the dragon and brandishing the steel sword. It's when the champion sets forth and leaves the village, leaves certainty, faces the unknown. 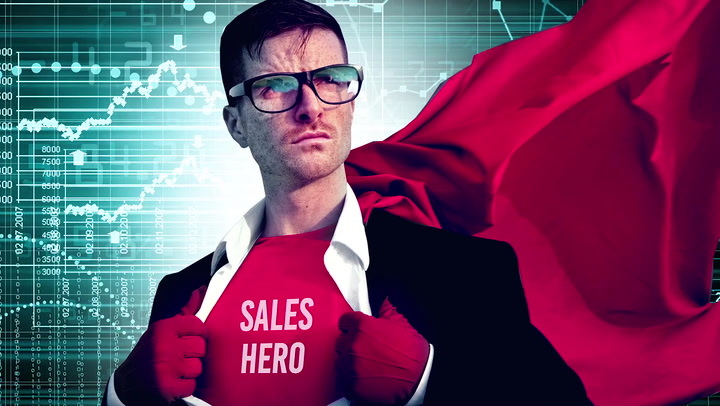 Salespeople do this every day and that's why they're heroes and when they realize they're heroes, this will feed their psyche for a whole lifetime of successful business development.